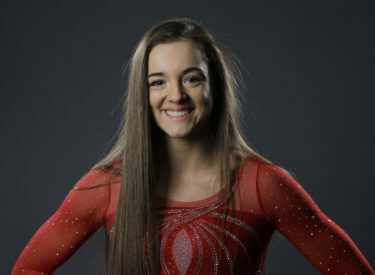 NORMAN, Okla. (AP) – Maggie Nichols, a University of Oklahoma gymnast who was among the first to report sexual abuse by former USA Gymnastics team physician Larry Nassar, is being honored by the NCAA with the 2019 Inspiration Award. Nichols will receive the award January 23rd at the NCAA Honors Celebration in Orlando, Florida. It’s given to a coach, administrator, or athlete who demonstrates perseverance, dedication, and serves as a role model of hope and inspiration to others.